Mount Everest rises at over 29,000 feet above sea level and has claimed approximately 240 lives. It’s one of the most dangerous places on earth and only the most experienced of climbers are able to make it to the mountain’s peak. 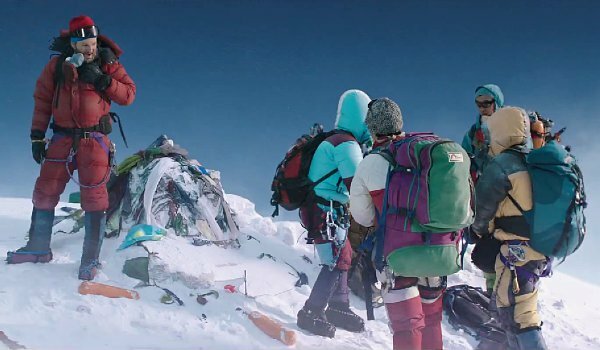 “Human beings simply aren’t built to function at the cruising alititudes of a seven-forty-seven,” says Rob Hall (Jason Clarke) early on in Everest. After watching the film, viewers will understand just how true this statement is. Based on the true story of the 1996 Mount Everest Disaster, Everest is a survival thriller that takes place almost entirely on earth’s highest peak. Director Baltasar Kormákur and a huge cast of great actors bring this story convincingly to life. There are a number of intense scenes scattered throughout and the overall product is largely satisfying, but the film is never able to rise to the level of greatness that this kind of story would lend itself to. It’s still quite good, although one can’t help but wonder how much better it could have been with a few more memorable sequences. Despite being one of the most dangerous places on earth, several companies have begun operating commercial climbs that take clients up to the top of the mountain. One of the leaders of these operations is Rob Hall, an experienced climber who has made it to the top of the mountain several times. This year, his cliental include a Texan (Josh Brolin), a mailman (John Hawkes), a journalist (Michael Kelly) documenting the climb and a woman (Naoko Mori) who is attempting to climb the last of the Seven Summits. Hall receives help from Helen Wilton (Emily Watson), the manager back at base camp and Scott Fischer (Jake Gyllenhaal), another group leader. Climbing to the top is never easy, but when a large storm begins to descend on the mountain, it becomes clear that climbing down the mountain might be the most difficult part. This story had previously been adapted into a made-for-television film based on Jon Krakauer’s non-fiction book Into Thin Air and while I have not seen that film, I think it’s safe to say that Everest is the best dramatization of this harrowing and heartbreaking tale. In fact, this might just be the best Mount Everest film ever produced, which is more a testament to the surprising lack of films that take place on the mountain than the overall quality of this film. But that’s not to say that the film doesn’t earn its merits, because it almost certainly does. Salvatore Totino’s cinematography does an excellent job at contrasting our characters against the beautiful, snowy landscapes and director Baltasar Kormákur successfully makes it look like these actors are actually climbing to the top of the world. There was a mix between shooting on location in actual mountains and shooting inside on a closed set. For the most part, this mix works well, as there was only one shot in the film that I thought looked suspiciously like a Hollywood set. Also aiding Kormákur in creating a believable environment is the great cast. It may be a weird observation, but the cast does a great job at looking cold. As they climb higher and higher onto Everest, the weather only gets worse and the many performances in the film make it clear just how brutal the environment is. You witness them violently shiver and shake as they attempt to breathe in enough oxygen to stay alive. Jason Clarke does a solid job leading the cast, bringing a warm sense of authority to his character that makes you believe why people would trust him with their safety. Josh Brolin is perfectly cast as a rich, thrill-seeking Texan and many of the film’s best scenes focus on him. John Hawkes is excellent in the film, effectively building an emotional arc out of the few meaty scenes that he’s been given. As the easy-going Scott Fischer, Jake Gyllenhaal gives a solid performance; it’s certainly not as great as his recent performances in films like Nightcrawler and Enemy, but it doesn’t need to be. The women in the film don’t receive nearly as much screen time as the men, but Emily Watson and Keira Knightley deliver fantastic emotional performances regardless. There are a few moments of great tension, including a scene where Brolin’s character almost stumbles off of a ladder and into a ravine, but the film lacks the drive that you would expect from a story like this. It seems to take a bit too long for their climb to experience trouble and once the trouble hits, it doesn’t seem to build into enough truly exciting sequences. There’s also an attempt at a huge emotional payoff at the end that falls flat because most of the characters are underdeveloped. But even with these problems, Everest is a solid watch because of its beautiful frigid locations and the unique look at an Everest expedition. 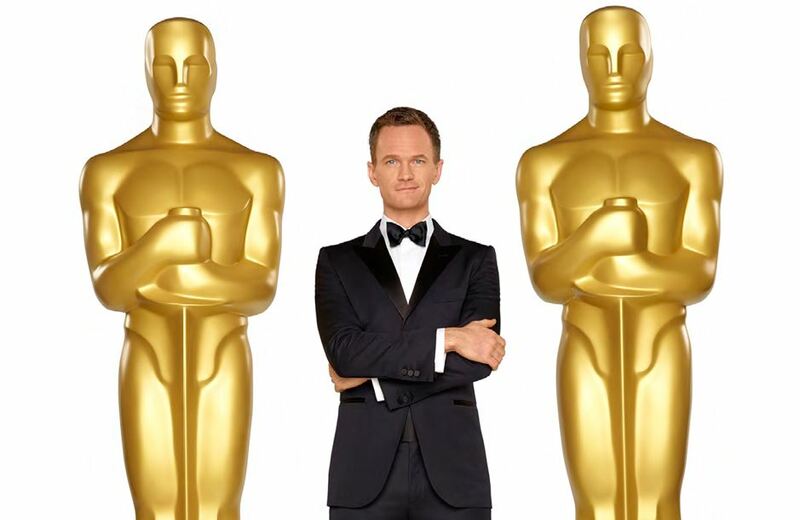 If the filmmakers were trying to make a monumental film, they failed. Still, this is far from a colossal disappointment. Living in a small town can make it difficult to see all of the movies that I want. I had been looking forward to Enemy for quite a while, but the film only had a modest release and never opened at any theaters near me. When it was finally released on Blu-ray, I knew that I would be picking it up on day one because I was unable to see it in theaters. But, surprisingly, I couldn’t find a single Blu-Ray copy of Enemy at any of the stores that I checked. I ultimately had to buy the Blu-Ray online and have it shipped to my house. I’m bringing this up because I wanted to explain how difficult it was for me to finally see this movie. Granted, a film as provocative and surreal as this will probably never receive a widespread theatrical release, but the fact that I couldn’t find it at any stores near me is ridiculous. I probably wouldn’t have cared about this quite so much if the film ended up disappointing me, but not only were my expectations met, they were beyond exceeded. Enemy is a fascinating mindbender of a movie, one that manages to be suspenseful and engaging throughout its entire runtime and extremely thought provoking once the credits begin to roll. Viewers accustomed to having every plot detail spoon fed to them should look elsewhere; this is a film that will lead to questions, interpretations and conversations. Sometimes, that’s the best kind of cinema. Adam Bell (Jake Gyllenhaal) is a college history professor who is leading a dull life. His relationship with his girlfriend Mary (Mélanie Laurent) seems to be lacking any excitement and the majority of his free time is spent in his standard looking apartment. Adam rents a movie based off of the recommendation of a coworker and spots an actor who looks exactly like him in a small role. Adam does some digging and discovers that this doppelganger is named Anthony Claire. Adam begins following Anthony and even calling his home, much to the dismay of Anthony’s pregnant wife Helen (Sarah Gadon). But once Anthony learns of the striking similarity that these two share, the two men agree to meet face to face and discover exactly what is happening. From the opening shot to the final frame, Enemy held me in a near constant state of suspense. I spent the entire movie with the feeling that I was holding my breath, just waiting for what the filmmakers had in store for me. Director Denis Villeneuve’s previous film Prisoners was one of my favorite films of 2013. Enemy was actually filmed prior to Prisoners, but the short amount of time between their release dates provides a solid one-two punch for fans of intelligent adult cinema while also proving that Villeneuve is a master at holding viewers on the edge. In fact, the constant feeling that something bad could happen at any moment actually makes this scarier than most modern horror movies. The final scene is a real shocker, one that caused me to actually scream out in fear when an absolutely unforgettable image is revealed. Tone and atmosphere are a major component to the film and the music by Danny Bensi and Saunder Jurriaans is suitably unsettling enough to make the audience feel like insects are crawling on their skin. The grim cinematography by Nicolas Bolduc is unique because of its yellowish tint, but also effective at providing the feeling that something just isn’t quite right in this world. It’s so refreshing to see a movie that isn’t just a straightforward tale, but one that requires thought and analysis from its audience. Some people think that when a film leaves its audience with unanswered questions, it’s simply being lazy; I would argue that these types of films are actually some of the most difficult to make. There will always be some outcry when a film refuses to neatly wrap up and explain every loose end, but the key is to give viewers just enough information so that they can ascribe their own meaning to the clues that have been provided. Movies like this one don’t come around often and it’s even rarer for them to be executed so well. Thanks to Javier Gullón’s intriguing script, this is one of the best open ended psychological thrillers since 2012’s Kill List. Gullón’s screenplay is adapted from the novel The Double by Portuguese author José Saramago. One of the most memorable aspects of the film is actually new to the story and completely absent from the original novel. These new scenes turn a dark psychological mystery into a much more surreal experience. I’m not going to pretend to understand all of the mysteries that the film has to offer, but I do think that I have a basic understanding of the symbolism and metaphors that are present and they only help to add another layer of depth to this already riveting film. Some viewers will be outraged with the ending, but I loved how it was able to flip the entire film on its head in the final few seconds. I can’t wait to go back and further unravel this puzzle. It must have been tempting for Gyllenhaal to oversell both of the characters that he portrays. To turn them into caricatures would have been an easy way to differentiate between the two, but Gyllenhaal never overdoes things. The differences between Adam and Anthony are subtle: they look and sound exactly alike, so it’s up to Gyllenhaal to help the audience understand who is who at all times. Adam is meek, shy and socially awkward, while Anthony is strong, confident and sexually indulgent. 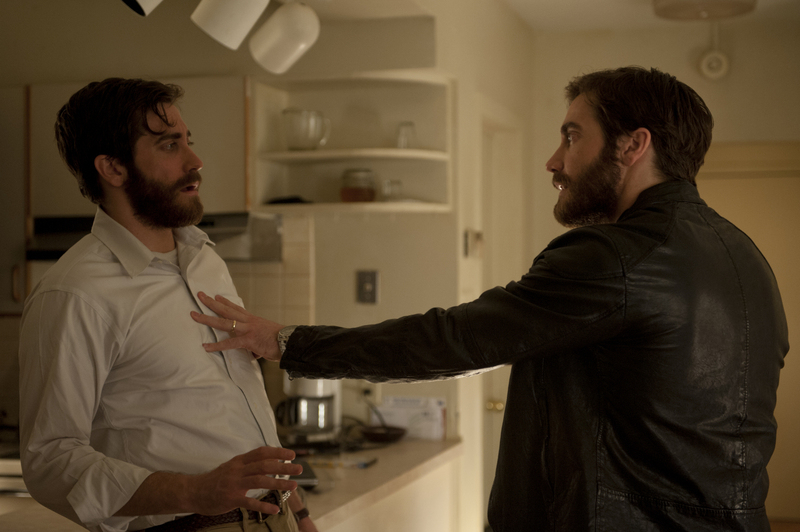 It’s always apparent which character Gyllenhaal is playing and both characters feel real enough to exist on their own. In these two quietly compelling performances, Gyllenhaal never screams for attention, but he deserves it just the same. Are Adam and Anthony both real? Is one of these characters a figment of the other’s imagination? What was going on in that final scene? Enemy never provides any direct answers to these questions, but instead it asks viewers to piece together their own interpretations. The clues are there, hidden in a web of mystery and intrigue and whether the viewer feels the need to think about things enough to put everything together is entirely up to them. These kinds of movies have always fascinated me; I love how they force you to think once the credits begin to roll. Future viewings will surely be helpful in understanding some of the more abstract elements of the film and I’ve been wanting to revisit it again as soon as my initial viewing ended. Enemy certainly isn’t for everyone, but that’s not going to stop me from showing it to as many people as I possibly can.